The Ministry of Finance has issued a public statement in the country’s most widely circulated newspaper, saying that owners of unused land will be taxed or be confiscated by the government. 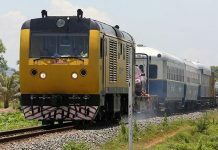 According to the official statement published in Rasmei Kampuchea (Light of Cambo­dia), anyone holding unused land must pay by Sept 30 or they will lose their land. “If they do not come after the last notice, the empty land will be considered land without an owner, and measures will be taken to use the land for public purposes,” the statement read. 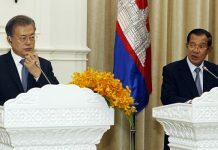 He said the unused plots measure roughly 1,200 hectares in size and most are located in Phnom Penh, Siem Reap and the Sihanoukville area. The order is based on a law introduced in late 1994, when Sam Rainsy was in his final months as the Minister of Finance. The opposition leader said Wednesday the law was put in place to stop wealthy speculators who scooped up cheap land and waited for it to increase in value. For instance, he said the taxation should be gradual over the course of several years, and the government should not confiscate land across the board—unless the land was acquired through illegal means. 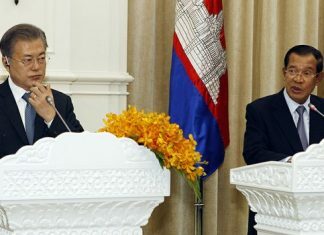 Janet King, in-country director for the University of San Fran­cisco’s Cambodia Law and Democracy Project and an expert on Cambodian land laws, ex­pressed similar concern. She said increased tax money is always good news for cash-strapped public projects, but she warned that the procedures to assess and confiscate the land must be “transparent and accountable” to avoid corrupt practices.